World Cup fever is taking over in Australia — this includes kangaroos. A real-life "soccer-roo" stopped to watch a local game in Canberra this weekend before deciding it wanted to join the players on the pitch. 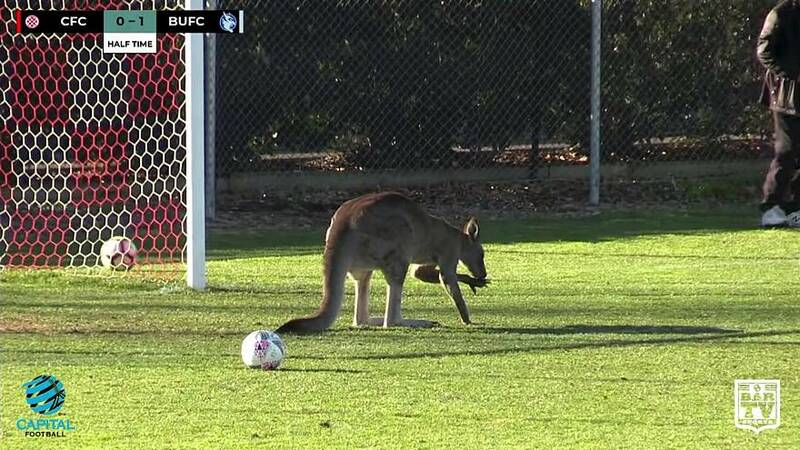 The game was put on hold for about half an hour after the large eastern kangaroo hopped onto the pitch and lay down near the goal, refusing to move. The players kicked balls towards the animal, trying to scare it away but it didn't budge. Tired of the marsupial's antics, one of the team's coaches used his car to chase the animal away but not too long after, the hard-headed 'roo decided to come back to disrupt the game for the second time. Eventually, he left of his own accord, having earned the title of star player.